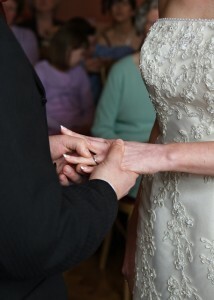 My mother-in-law is interfering in my wedding! Dear @EtiquetteQueen – My mother-in-law is really interfering way too much in our wedding plans. How do I keep peace in the family and yet move ahead with my plans the way my fiance and I choose? What is the proper etiquette? A: You may need to have a heartfelt, kind talk with her, with your fiance present. Take her to lunch, somewhere neutral, and explain that this is a stressful time and if there are any special requests that she has, might she make a list for you and you will do your best to accommodate her. Assign certain tasks that she can do such as assemble party favors at her home or make much needed calls. Make a template email and give her a contact list for your guests that includes any information that they might need about directions, accommodations, things to do in the area. Make her a part of your special day. While she may be handling it in the wrong manner, all she wants is to feel needed.